If you’re struggling to find out what to do or where to go while you’re in Maysville, then a trip to the Maysville-Mason County Convention & Visitors Bureau is a must. From its home in the heart of downtown Maysville, the Convention & Visitors Bureau plays a pivotal role in enhancing your experience, and your fun in Maysville KY! 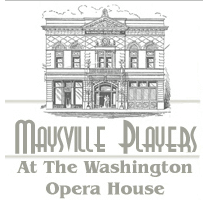 Offering information on events, attractions and places of interest around Maysville. Booking agents for private tours to many of Maysville’s hot spots. Help in finding the perfect accommodation for your needs. Advance booking for personal Tour Guides. Not sure what you want to do? Let the Maysville-Mason County Convention & Visitors Bureau make an itinerary just for you. Go to our Visitors section for more information.